If you’re new to AAOE, new to attending conferences, or just aren’t sure where to start, this is the on-demand session for you! 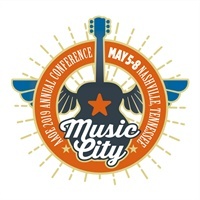 Join AAOE volunteers and long-time conference attendees to learn how to navigate the conference like a pro. Topics discussed will how to determine which sessions to attend, setting goals for the conference, networking tips, and utilizing the Exhibit Hall. Conference 201: The Conference Is Over, Now What? If you’re new to AAOE, new to attending conferences, or just aren’t sure where to start, this is the on-demand session for you! In Conference 201, AAOE volunteers and experienced conference attendees share their insider tips for taking what you learned at the conference and implementing it back in your office. Topics covered include implementing your conference takeaways, getting buy-in from physicians and staff, staying in contact with peer connections you made, and following up with exhibitors. To provide your practice with the information you need regarding the opioid epidemic, AAOE is hosting an Opioid Education Series. Register for the series to gain a better understanding of the entire opioid crisis, why all medical staff need to understand it, how to weed out the legitimate patient from the medication seeker, and how to effectively handle opioid related issues as they arise. The four-part series has been approved for Continuing Education Units (CEUs). AAOE Member? Login to access the content for Free! Please note: CEUs are a nominal fee. To provide your practice with the information you need regarding the opioid epidemic, AAOE is hosting an Opioid Education Series. Register for the series to gain a better understanding of the entire opioid crisis, why all medical staff need to understand it, how to weed out the legitimate patient from the medication seeker, and how to effectively handle opioid related issues as they arise. The four-part series has been approved for Continuing Medical Education credit (CMEs). As the only orthopaedic-management specific association developed exclusively for orthopaedic practice executives, AAOE is dedicated to providing education and resources to orthopaedic practice executives and their staff members. © Copyright 2018 AAOE. All rights reserved.